Payments include tuition, performance fee, recording fee, and annual recital costume. 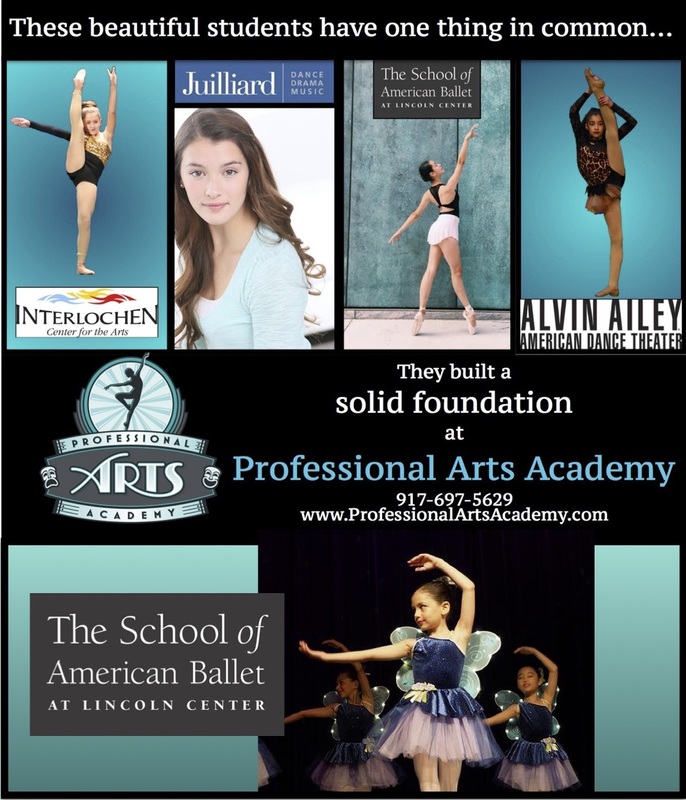 ... to ProArts Company Dancer Camille for being an exceptional student at the School of American Ballet at Lincoln Center. We are very PROUD of you, Camille! At Professional Arts Academy we encourage our students to reach their greatest potential while instilling a passion for the arts. Our fun, hard-working environment inspires students to become innovative artists, while cultivating them to become confident, well rounded, inspirational people. Our faculty have developed a curriculum utilizing theories of child development with rhythm, music, movement, and creativity. All faculty are professional performing artists with credits including Broadway, Rockettes, film, and television. Additionally, we are Acrobatic Arts and Leap and Learn certified. We invite you to visit our school at any time. 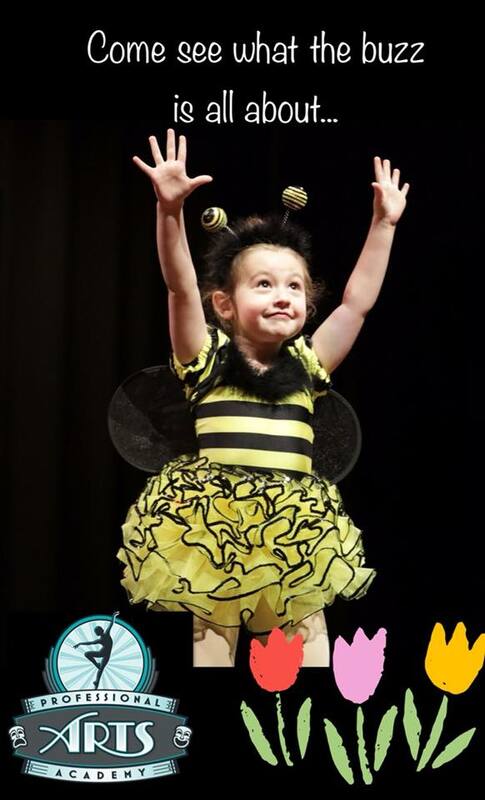 Classes offered: Mommy & Me, Creative Tots, Ballet, Tap, Jazz, Acro, HipHop, Musical Theatre (ages 4-18), Vocal and Piano lessons, Music classes.